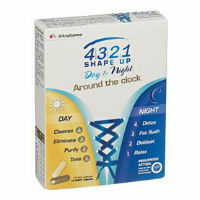 4321 Shape Up is a diet pill system that has two parts to it. It comes with a daytime and nighttime formula, based on the assumption that the metabolism functions differently depending on whether it is day or night. The ingredients, themselves, are supposed to provide detoxing benefits that will then allow the user to be able to “shape up” no matter what time it may be. 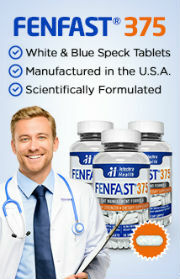 The formula is made and marketed by a company called Arkopharma, which is based in France. That company’s specialty is in phototherapy, dietary supplements, and natural medicine and sells its products (including this one) to 60 countries around the world, including the United States and the United Kingdom. That said, it was difficult to find retailers that sold those products in the U.S. at the time of this review. Though the product is listed on the manufacturer’s official website, that site does not provide any details other than the packaging with regards to what it contains, the claims that it makes about the way that it functions, or how it should be used. 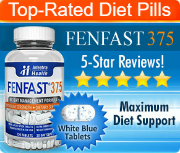 This two pill diet system is meant to be taken for a detoxing period of fifteen days and nights. The rest of the information used in this review was gleaned from third party sites that sell the product, as nothing else is explained about 4321 Shape Up on the Arkopharma site. Those sites claim that over the 15 day (and night) period, the product is meant to help users to be able to cleanse their systems, thereby making it easier to lose weight. This is a very common type of claim in the nonprescription weight loss industry, and it is one that is considered to be highly controversial, particularly because of the lack of scientific evidence to suggest that it actually works, and because of the stress that it can cause the body and the potential side effects that it can generate. It is highly recommended that a doctor be consulted before taking 4321 Shape Up or any other type of detoxing supplement. Third party websites claim that 4321 Shape Up contains a range of different natural and herbal ingredients. The daytime capsule contains: green tea extract, yerba mate extract, barley malt powder, kola nut powder, fennel powder, and celery powder. The nighttime capsule contains lemon balm extract, Grapemax® (resveratrol), kidney bean powder, hawthorn powder, and chicory powder. Clearly, these pills contain large amounts of stimulants and diuretics. These can both lead to side effects that are uncomfortable or potentially dangerous for some users, depending on certain behaviors and medical conditions. It is advisable that anyone thinking of using this product first speak with a doctor.